This garden sculpture is spectacular! 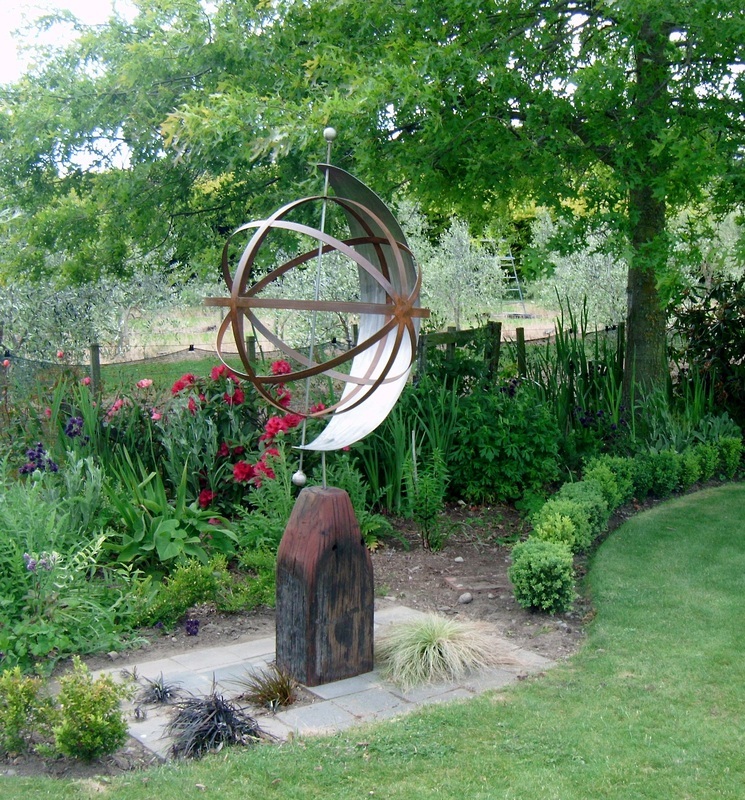 The globe is made from mild steel, and the cradle and diagonal rod from marine grade stainless steel. The plinth is made from hardwood. ​​​This is a great in between size and perfect for a smaller garden. 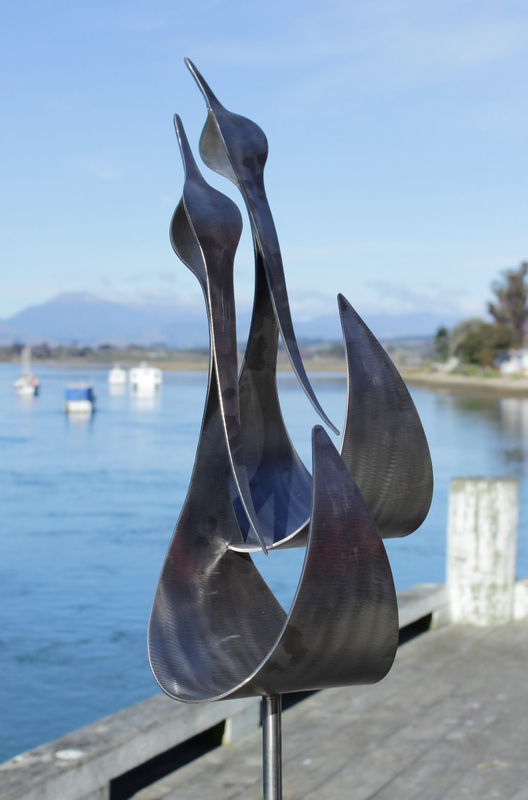 Our sculptures are available on a concrete base at an extra cost. 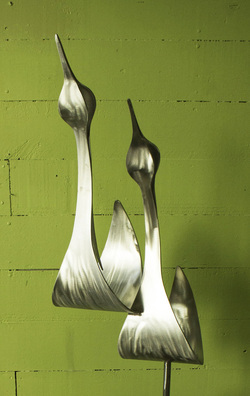 I love the flow and the simple lines of this beautiful stainless steel sculpture. 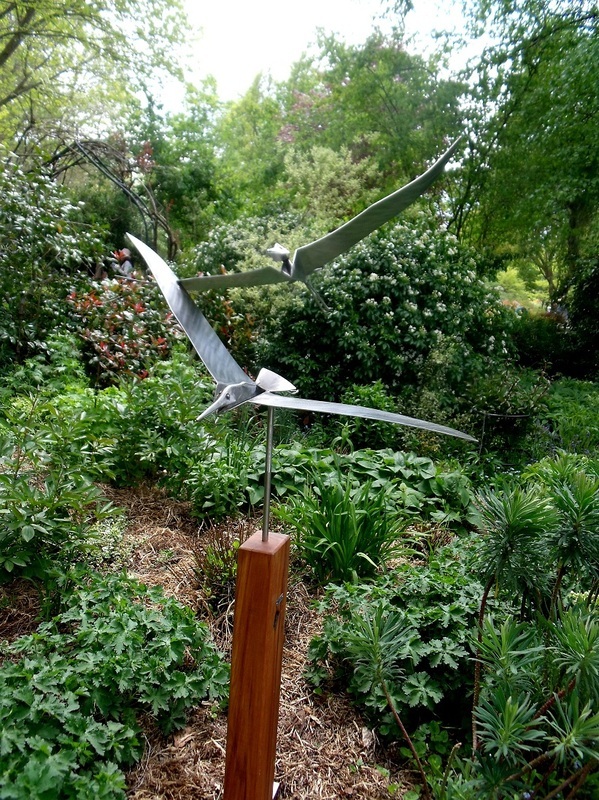 The birds are made from marine grade stainless steel, and the base from a hardwood cross arm. 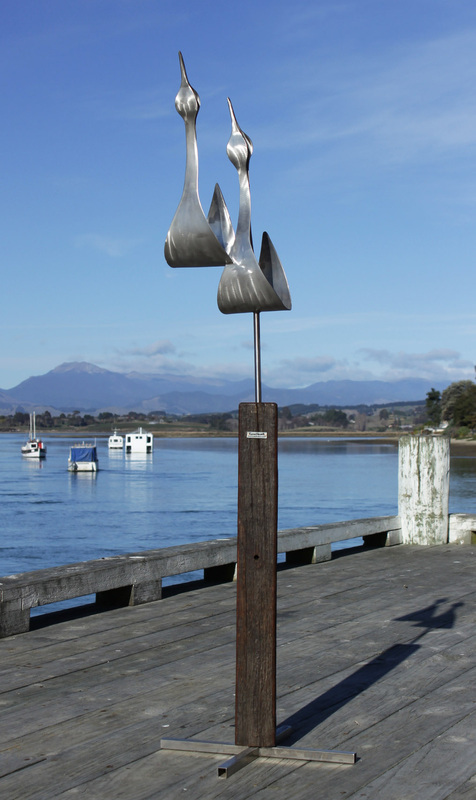 This beautiful Heron sculptured is a tribute to Mapua wharf's famous heron, Hamish. It's made from marine grade stainless steel. The base is made from a hardwood cross arm. 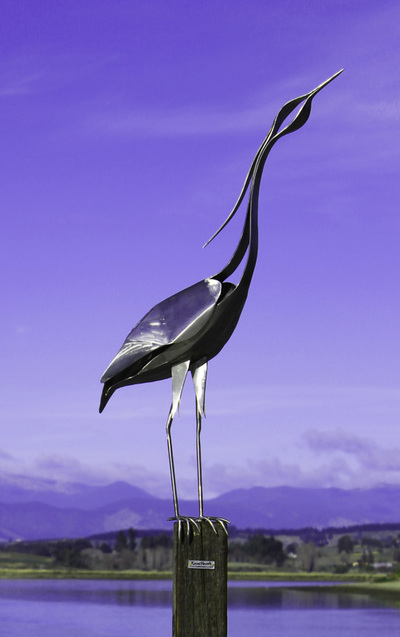 This stylised heron moves in the wind and shines in the sunlight. 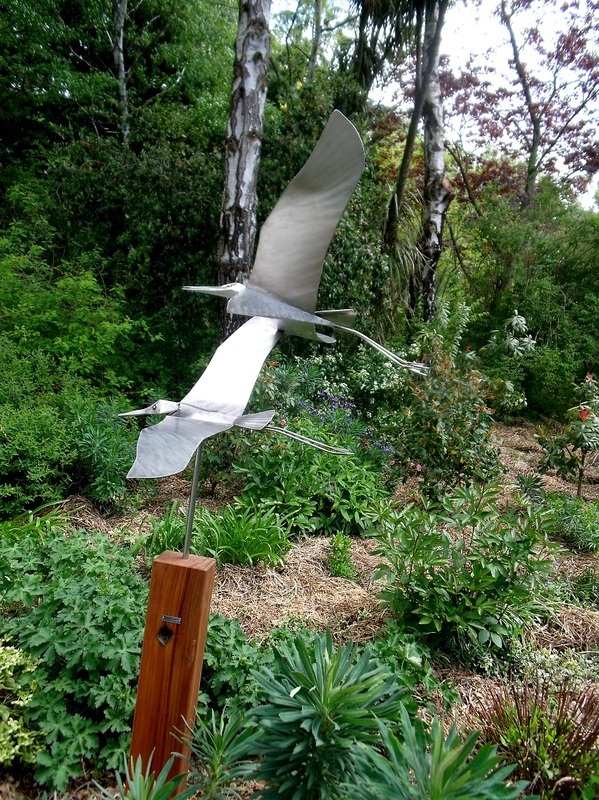 The heron is made from marine grade stainless steel, and the base is a hardwood post. This beautiful seagull sculpture is made from marine grade stainless steel with a hardwood base. 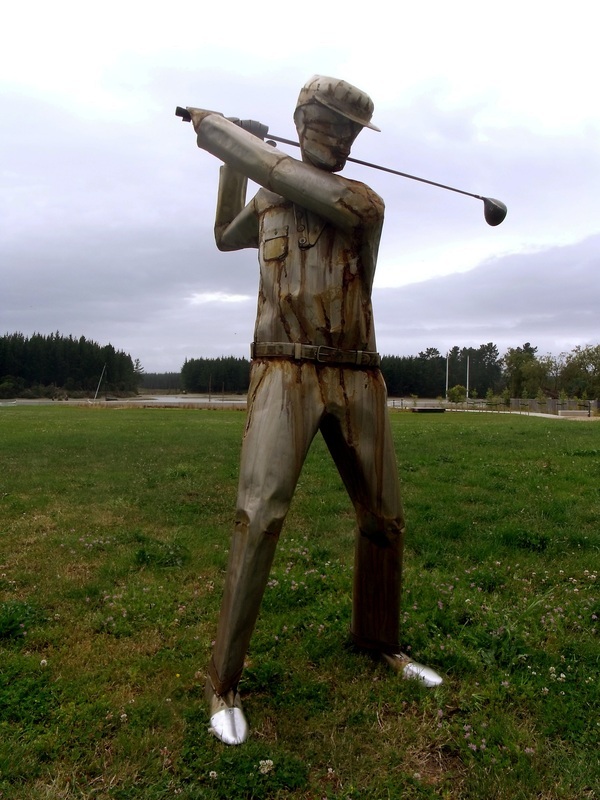 It's a perfect sculpture to place in front of your home as you'll be able to enjoy your view through your sculpture. 3 Stainless steel birds on a hardwood base. These Dandelions are great fun! 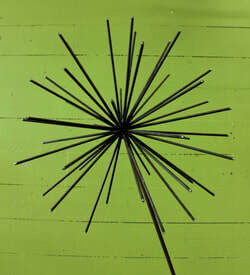 Push the spike into your grass or garden and they'll move in the wind! The are made from mild steel. 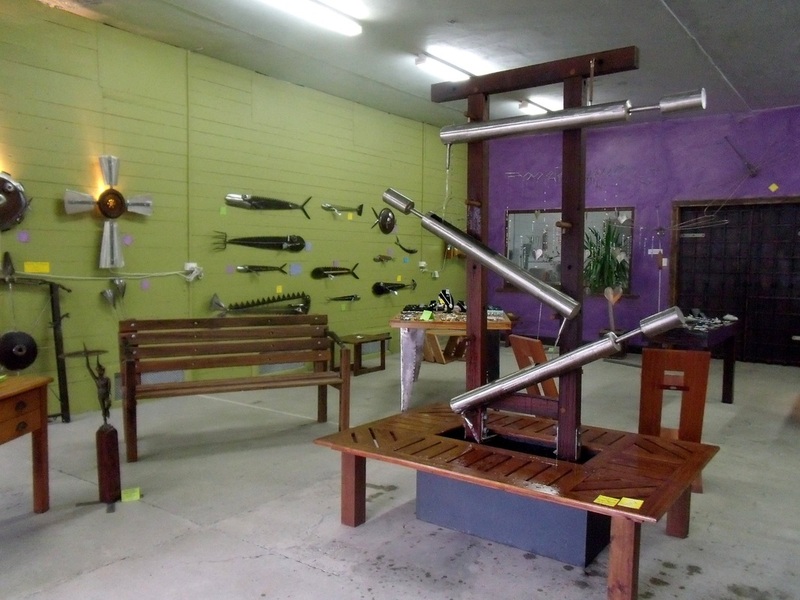 2 Marine grade, stainless steel Herons on a hardwood cross arm base. Such a simple concept but very effective! ​Russel made these spheres from mild steel. The rusted patina will change and mature outside. 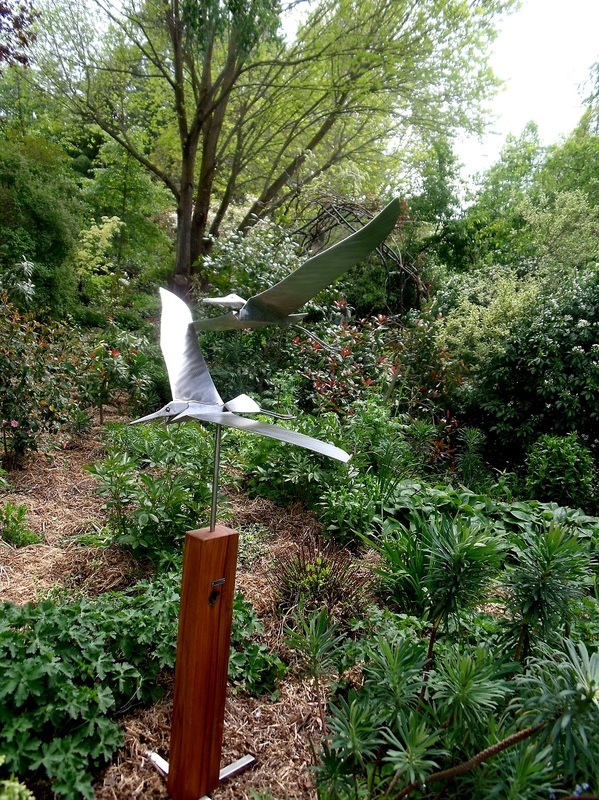 This garden sculpture is ideal for a smaller garden. to create a contrast between the 2 metals. The base is made from recycled hardwood. You may change the base at an added cost. Refer to the bases on the large 'On top of the world'.